Whether you are looking to review your existing pension plans to ensure that they will achieve your future goals, or you wish to maximise your retirement income now, Inshore IFA will be happy to help you with your pension planning so that you make the right decisions. Whatever your age, pension planning advice can make a big difference to the quality of life you enjoy when you retire. Retirement planning is a complex area, and we can help you choose the right pension to suit your personal circumstances. The earlier you start putting money aside to provide for a comfortable retirement, the better. But even later in life, there are still a number of options to choose from. Do I need to save for retirement? Your retirement will hopefully last for 20 or 30 years or more. You will need a substantial fund of money to support yourself over such a long period and the basic state pension is not enough to provide the standard of living most people want. To provide a good standard of living, you will need another source of retirement income as well. Putting money aside for retirement is one of the biggest commitments most people make. It’s important not to make a rushed decision. You need to think carefully about what type of pension or investment plan will work best for you. You’re never too young to start a pension – the longer you leave it the more you’ll have to pay each month to build up a decent fund. The Financial Conduct Authority stipulates the starting point for anyone considering a pension transfer, conversion or opt-out of their Defined Benefit Pension is that it would NOT be suitable for the client. Our service starts with an Educational process & videos designed to provide you with a good understanding of how a Defined Benefits Pension works and the valuable benefits that are available to you in this type of pension. 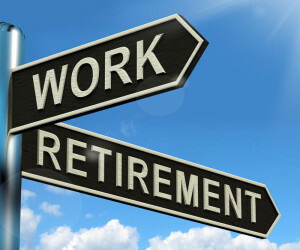 How can I get the income I want when I retire? What type of scheme should I contribute to? Where should I invest my money and what funds should I use? How much will I receive from my ‘State Pension’? Are my existing plans offering me best value? Am I currently paying too much in pension charges? The only way to know for sure is requesting a Pension Review.